Members will be authorized to sign up for the event as soon as its date is published. Non-members will be authorized to sign up for the event 15 days before it takes place. The anticipated price will only be considered up to 4 days before the date. 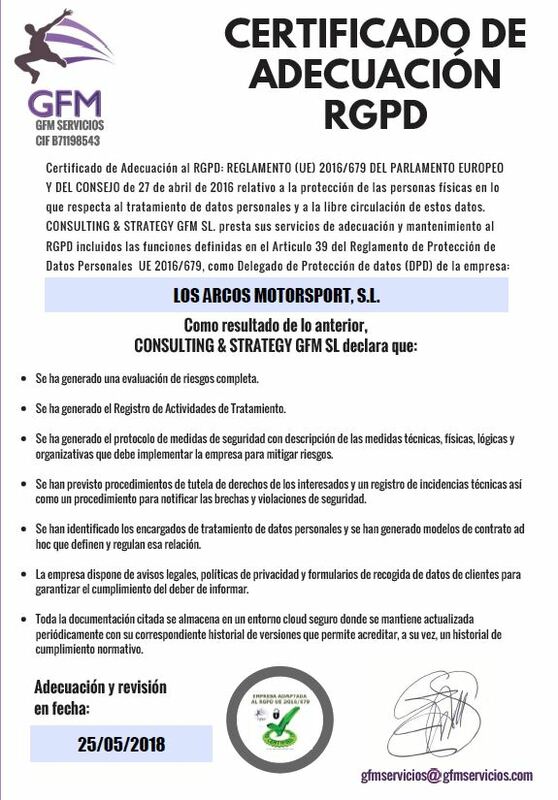 In case of free slots, the registration can be done the same day at the Navarra Circuit. Fill the registration form and send it by email to olivia@circuitodenavarra.com. Pay the amount to our account at the Banco Sabadell (ES62 0081 5563 1000 0112 2713), stating name, surname and racing day where you register. If you follow that procedure before arriving to the circuit, we can attend to you faster on the racing day, instead of having to wait to fill the registration form and make the payment there! The session on track will be of 25 minutes, with a total of 6 sessions a day. Although it is cheaper to buy the session on track before, you can also by it the same day in the circuit. To make it easier, you could also buy standalone sessions, half a day or a whole day. Both for motorcycles and cars, members and non-members can ride, but members will get a cheaper price. Members will always have priority so that they don’t run out of slots, as they will be able to register before are non-members.